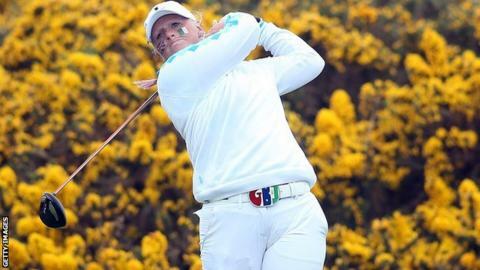 Holly Clyburn says she is overwhelmed to be making her Women's British Open debut and aims to enjoy the experience. The 21-year-old from Lincolnshire is one of just six English amateurs who came through qualifying to reach the prestigious event which gets under way in Liverpool on Thursday. "It's massive, I was delighted to get through and I am still overwhelmed that I got in," she told BBC Lincolnshire. "I can't expect too much because I am still only an amateur." Clyburn, who plans to turn professional at the end of the year, will be teeing off with former champion Karen Stupples and is relishing the chance to play with the world's elite stars. "It will be a good experience and I cannot wait to get out there with her," the Woodhall Spa Golf Club amateur said. "She can guide me in the right direction. "I am very excited and am raring to get out there. Hopefully I can handle my nerves and let my golf do the talking."